It was Himesh Reshammiya’s birthday yesterday and the man hasn’t stopped smiling even as a day has passed by. Reason being that he managed to convince his parents to compose and sing a song that would be primarily a ‘family only’ affair. Titled ‘Taara Vina’, the song is in Gujarati and while Himesh’s dad Vipin Reshammiya would be composing it, he would also be coming behind the mike along with wife Madhu Reshammiya to sing it. Shahid-Kareena’s ‘Milenge Milenge’ follows Himesh’s ‘Radio’? Ok, so the makers of ‘Milenge Milenge’ have led everyone to believe that their film is a success. While some may argue that how a film that nets just a little over 10 crores in its first week could be termed as a success in today’s time, especially since it stars top players like Shahid Kapoor and Kareena Kapoor, producer Boney Kapoor has a strong reasoning. After all, the film was made on a medium budget half a decade back and even if one counted the interest, the ROI (return on investment) has been gladdening. Comments Off on Shahid-Kareena’s ‘Milenge Milenge’ follows Himesh’s ‘Radio’? Yesterday was the birthday of Himesh Reshammiya’s mom, Mrs. Madhu Reshammiya. However, this was not the sole reason for his celebrations. There are a couple of added milestones that make him happy. First and foremost, this was the day exactly two years back when Himesh was accepted as an actor, courtesy the roaring reception that his debut flick ‘Aap Kaa Surroor – The Moviee’ had received at the box office. Secondly, the music of his newest release, ‘Kajraare’, has found a good response coming its way, something which is leading to all around celebrations at the Reshammiya household. Himesh Reshammiya is back with a bang. This time as a composer, singer and actor with his latest movie Kajraare. The music of the upcoming film was released recently and regaled the audiences with its musical extravaganza. Although Himesh has failed to prove his mettle as an actor, the music of all his films have scored big so far. The songs of his debut film Aap Kaa Surroor was a great hit which encouraged the composer to start scoring music for only those films where he is seen as an actor too. Himesh was a rage once upon a time. His ‘suroor’ took him a long way and we could hear his voice being played from night clubs to the local ‘rickshawwalas’. But, it seems the popularity has faded with time and these days he seems to be maintaining a low profile. His Radio was a super flop at the box office and seems that Himesh’s acting graph has not really caught up the way his singing did once upon a time. One has an Iron Body… and the other… an Iron nose. Come this October (Diwali)… you will witness the clash of two of the most anticipated movies of this year, Kites and Kajraare. If you are not aware of the star cast and still wondering about Iron Body and Iron Nose, here is the list: Kites would star Hrithik Roshan, Kangana Ranaut and Barbara Mori. The movie is directed by Anurag basu. Whereas… Kajraare would star Himesh Reshammiya and Pakistani beauty Mona laizza. The movie is directed by actress-turned-director Pooja Bhatt. 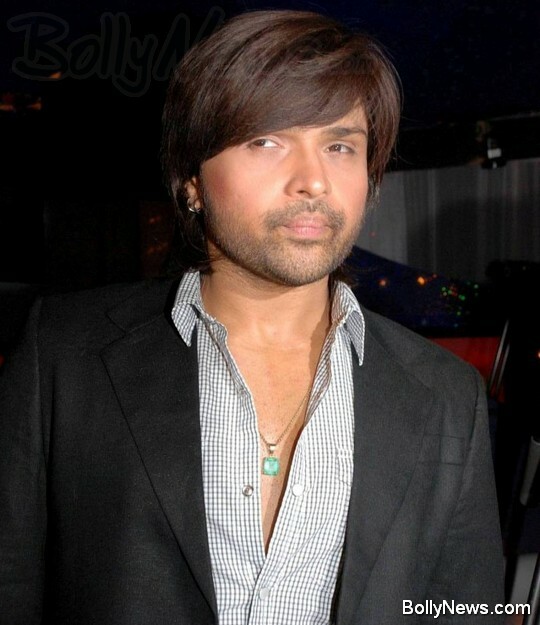 If you were thinking that Himesh Reshammiya has decided to burry himself in his Karzzzz hairdo, and will never return back to the big screen, you are absolutely WRONG! Here he is in all new short haired chick look to woo you in his upcoming movies A New Love ishtory and Ishq Unplugged. 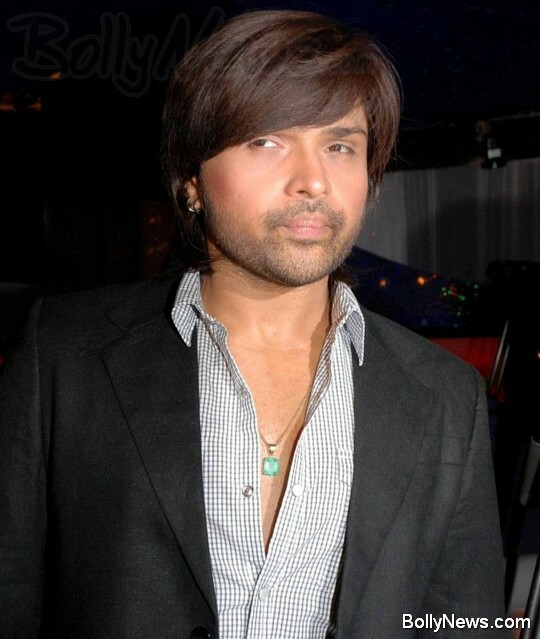 I say that Himesh Reshammiya needs a reality check. Why? According to media reports, A R Rahman, the musical wizard, said in an interview that Himesh Reshammiya’s voice and the attitude by which he sings rightly fits for his new composition. When the same reporter asked about this offer to Himesh, he arrogantly said that he doesn’t anymore work for outside banners.